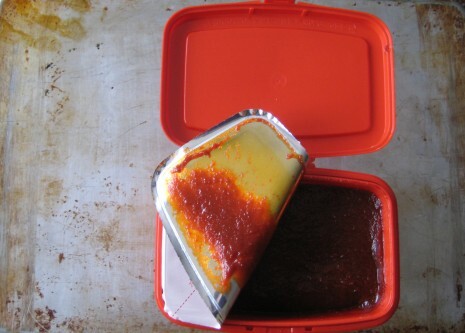 BEYOND SRIRACHA: THE DEEP HEAT OF GOCHUJANG | Jane Lear. Writing on Food and Travel. Any connoisseur of hot sauce knows sriracha, the garlicky sweet-spicy chili sauce named after a coastal town in Chonburi Province, Thailand. The version produced by Huy Fong Foods, in California—sold in a clear squeeze bottle emblazoned with a white rooster and topped with a bright-green cap—became an instant icon. Its migration from street-food trucks in L.A. and Chinatown restaurants in New York City, to Walmarts across the United States is a classic immigrant tale. And it also guarantees that no one in this country need eat a dull meal ever again. For years, chefs at restaurants ranging from humble to haute have appreciated what sriracha can do. They use it wisely, inventively, and, at times, brilliantly. I can recognize it in anything, and I suppose that’s my problem. I’m craving a little mystery, a little “What the hell is that?” on my palate and on my plate. Which is why I want, I need, I can’t live without the hot red-pepper paste called gochujang—one of Korea’s many wondrous gifts to the culinary world. The condiment has a robust yet mellow wallop that is not unlike that of artisanal miso. Or the finest aged moonshine. Along with fermented soybean paste and glutinous (“sweet”) rice flour, gochujang contains the flat, shiny red-pepper flakes (minus the seeds, unlike the red-pepper flakes common in the U.S.) that give kimchi, the Korean fermented vegetable dish, much of its gutsy exuberance. But chiles, of course, are a relatively recent addition to the ancient preparation; the new-world ingredient wasn’t introduced to Korea until the Japanese invasion of the late 16th century, and the use of chiles in kimchi wasn’t recorded until 1766. Korean cooks have certainly made up for lost time. You can find gochujang (a.k.a. koch’ujang), the red-pepper flakes (koch’u karu), and numerous other chile-laden products at koamart.com as well as at Korean markets like Han Ah Reum, just off Herald Square, where the produce department revolves around heaps of fresh red and green chiles. If you are looking for a leisurely, sanctified shopping experience and an exquisitely packaged condiment to impress someone with, Han Ah Reum is not the store for you. I elbowed through the crowd, picked up a 2.2-pound (“This is the smallest size you have?”) red plastic tub* of gochujang and some other goodies, and called it a day. I soon used the chile paste in a short-rib stew, which everyone loved. Then the container got shoved to the refrigerator’s way back and forgotten. When I unearthed it a week or so ago, I was elated, and I immediately started snubbing my bottle of sriracha for the richer, more lustrous timbre found in gochujang. I’ve added the stuff to chuck roast, spaghetti sauce, lentil soup, a mayonnaise dressing for coleslaw, and a quick garlic-scallion topping for stir-fried tofu. Like anchovy paste and fish sauce—two other great grounding ingredients—gochujang adds body, roundness, and a deep, complex savoriness to almost anything. I could eat it on cornflakes. * This brand, distributed by CJ Foods and the “No. 1 seller in Korea” seems to have the fewest additives and, most helpfully, the words Gochujang Hot Pepper Paste written in English on the label. A 2.2-pound tub costs about $8. My husband adds sriracha to everything he puts on his plate. Thanks for the new hot sauce suggestion! When I lived in Korea I fell in love with all sorts of Korean chili products. They use gochu jang for everything. My personal favourite though is if you mix it with some honey, soya sauce and sesame oil and then toss fried chicken into it. That is a staple of every bar in Korea and should be a staple at every table in North America in my opinion!